I am an assistant professor at the School of Information and Library Science, University of North Carolina at Chapel Hill. My research focuses on developing tools to support data science education for youth and on using data science in the service of education. I design, build, and study systems that engage young people in doing data science. I also use (mostly) quantitative methods to advance theories of how young people learn. I received my doctorate from MIT in 2016, where I was a part of the Lifelong Kindergarten research group, and my work was centered around the Scratch programming language and online community. Before coming to UNC, I was a Moore-Sloan and WRF postdoctoral fellow with the eScience Institute at the University of Washington. At UW, I was hosted by the Community Data Science Collective and I was also affiliated with the Human-Centered Data Science Lab. My research has received recognition and awards at a number of human-computer interaction conferences (CHI, CSCW, VL/HCC, IDC). In 2014, I was selected as a member of the Forbes 30 under 30 list for Education. I’m serving on the CHI 2019 PC as an Associate Chair in the new Learning, Education, and Families subcommittee. We have a new paper on project sharing behaviors in Scratch. The paper is slated to be published during the upcoming ACM CSCW conference and we’ll be blogging about our findings soon. This fall, I will be starting as an assistant professor at the School of Information and Library Science, University of North Carolina at Chapel Hill. We have a new paper conditionally accepted for CHI 2018. The paper tests the “wide walls” design principle using a natural experiment. I’m serving on the CHI 2018 PC as an Associate Chair in the “specific application areas” subcommittee. We wrote a blog post about our Learning@Scale paper on learning to code in one’s own language. Our systems paper on kids programming with their social media and learning data got a honorable mention award for CHI 2017. We shared a blog post about our forthcoming CHI systems paper. We have two full papers conditionally accepted for CHI 2017, and another one accepted for Learning @ Scale 2017. We blogged about our CSCW 2016 paper on Medium. An article in the SPAN magazine features my work. We wrote a blog post on the class we taught over last Fall. Our note replicating a previous Scratch study got accepted for CHI 2016. Our paper on remixing and learning in Scratch got a honorable mention for CSCW 2016. Our paper on Scratch extensions got the Best Short Paper award at VL/HCC 2015. Extended version of IDC paper listed below. Extended version invited and published in IJCCI as part of “IDC 2013 best papers” section. I design, build, and study the use of computer programming toolkits that enable children to programmatically analyze data from various sources—empowering them to be data scientists in their own ways, and enabling them to learn through making. 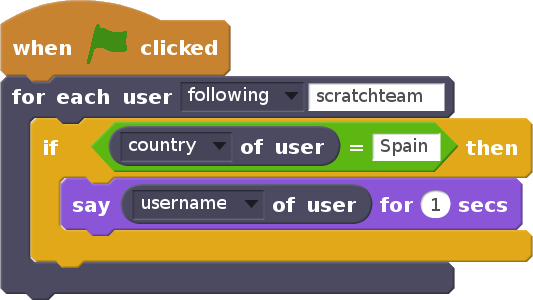 One of the systems that I have designed, implemented, and studied is Scratch Community Blocks. With this system, children in the Scratch community not only created programs that analyzed and visualized data about their and their peers’ learning and participation; but also, they engaged in critically thinking about the implications of data access and analysis. In contrast to the dominant trend in educational technology where data is collected from learners and rarely given back, this project’s goal was to empower young learners with access to their own data, as well as with “meta-tools” to analyze it. Drawing from theories in education and the broader social sciences, I use data collected from online informal learning communities to empirically identify factors that support and foster learning. 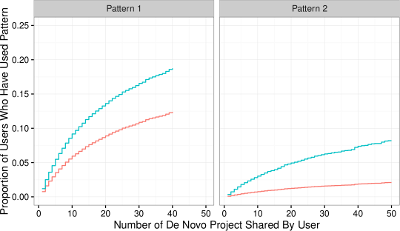 For example, in one study, we looked at the relationship between remixing in Scratch and learning outcomes of more than 170,000 community members who participate in remixing. To our knowledge, this is the first large-scale empirical study that provides support for theories which suggest that young people learn through remixing. Foundations of Information Science (INLS 201) is an undergraduate level course at UNC where students examine the conceptual and technical foundations of representing, organizing, retrieving, and using information. Additionally, the interplay between the conceptual and technical foundations of information is examined critically to understand the implications of information use in our day to day and societal lives. This course is a requirement for students at UNC who wish to major in Information Science, or are minoring in Information Science. In this course, we took a reflective and critical look into the wider implications of technologies in society, developing intentional awareness on those implications in our design, making, and research. I co-designed and co-taught this course along with two other PhD students at the Media Lab—Ricarose Roque and J. Nathan Matias. Learning Creative Learning was an introduction to ideas and strategies underlying the design of new technologies to support creative learning experiences, with special focus on technologies from our Lifelong Kindergarten research group. This course was taught by Mitchel Resnick, Natalie Rusk, and Philipp Schmidt. I was a teaching assistant in this course. The best way to contact me is over email. I’m not very good about monitoring my social media accounts, so Twitter DMs, Facebook messages, LinkedIn messages, etc. are most likely to go unanswered.